Our wonderful sponsor bids you adieu for the month. Here is some final inspiration from our DT to send you off to a new month and idea's to jump start your creativity. 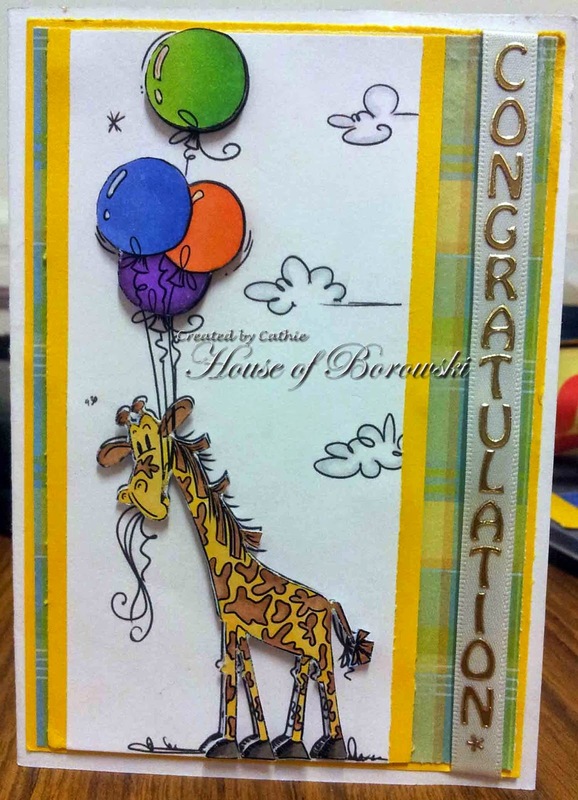 First up is Cathie with a fantastic display of balloons held by a wonderful giraffe. Don't you love the look on this giraffe's face. Too cute! . Michelle presents us with some beautiful flowers for our beginnings of Spring. This image is so lovely and calming just perfect for a relaxing day. Arlene made up her own modge podge of colors, nature, dies, and tags. The owls are cute and girlish. The young teens (looking ever so stylish) are enjoying a walk and it all takes place at the carnival. 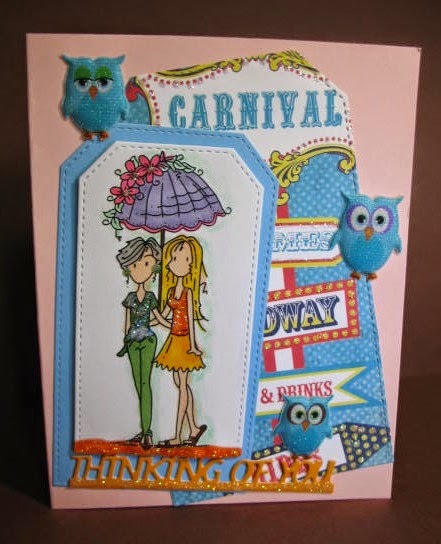 Lots of glitter and fun things going on in this card. 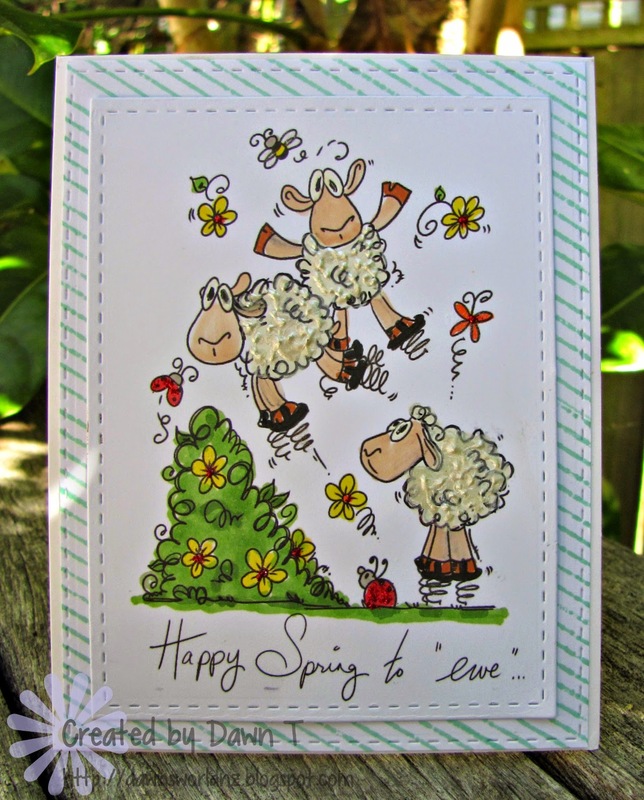 Marsha has combined spring and children in her card with some great colors and inspiration. I'm sure we will see this cute little girl again; she is so cute. I hope you all had fun playing along with this month's challenge, You may have noticed that the posts have been somewhat random and sporadic, this was due to some health issues I have been dealing with, and wanted to let you know that it should not happen again, and I hope it didn't discourage you to come back. Thanks to the DT for helping out when possible, so the month wasn't completely blank. Finally I have a card to share!!!! I love all the people images, but when it comes to the faceless ones aside from the eyes, I never seem to be able to stop my self from adding more features. Lol! Bugaboo Image (Bubbles Birthday-Balloons) My Favorite Things Pierced Circles, Pierced Rounded Rectangles Check out Michelle's blog. 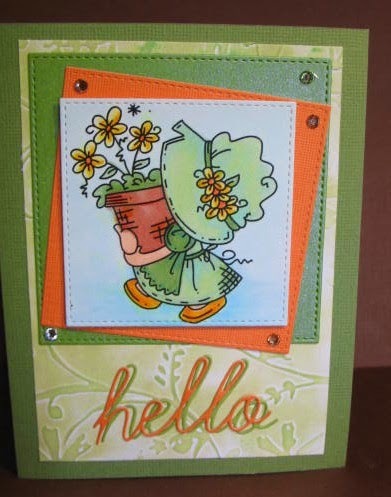 Arlene wanted to share a card with you, one of her favorite images from Bugaboo Digital Stamps. Who could resist a chocolate chip cookie? This chocolate chip cookie is fat-free! Memory Box Penne Frame,Memory Box Curyly Border, Impression Obsession Layered Floral Dieset. I hope this lovely card might inspire you as it does me, whether it's trying your hand at new folds, or perfecting your coloring or maybe even giving digital stamps a try. and the prize is $30 worth of stamps and .svg files. I've had to pick another winner because our random pick did not respond and email us. Please Email us at thedcdivas@gmail.com. so you may claim your prize. 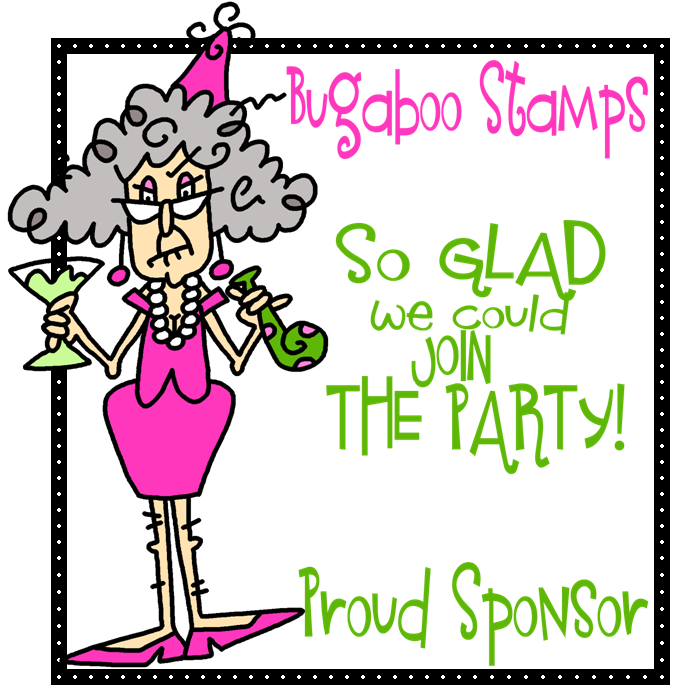 Our sponsor for the month is Bugaboo Digital Stamps and they are fun to print out and color. Arlene is wearing the green today and so is her Bugaboo sun bonnet girl. Background stamped with Distress ink - Cracked Pistachio and a multi striped Winnie & Walter stamp. You can see the card and post here. 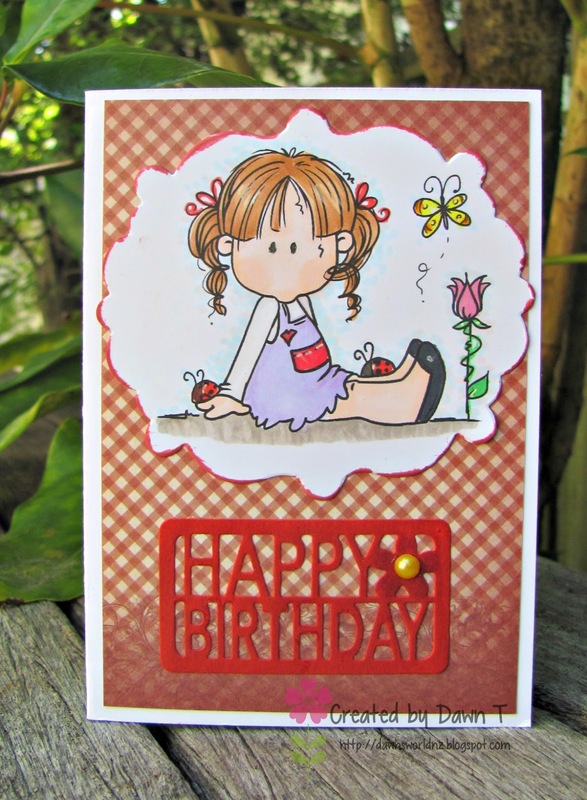 Loving working with Bugaboo Digital Stamps! 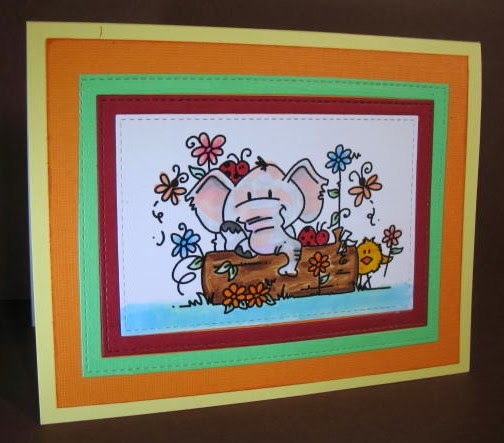 First we have this cute little elephant ready for anything. I love the sentiment as it leaves the card wide open for just about any type of situation, such as a birthday, an anniversary, a special occasion... I see the flowers are just popping up all over! Visit Michelle at ANutter paper crafter. 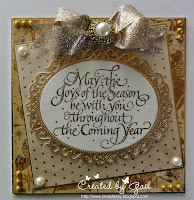 Michelle has posted this wonderful card here. I'm very pleased with this card. I think it's just a fun card to cheer anyone up if they need cheering. Thank you for joining us at Die Cut Divas from the Divas. One more post for the winner, Lena to email us at thedcdivas@gmail.com to claim the $30 prize. I will be choosing a new winner on Saturday the 14th if you do not respond. I have left a couple posts on your blog. I'll try again. Our sponsor was Quietfire Design and the prize is $30 worth of stamps and .svg files. 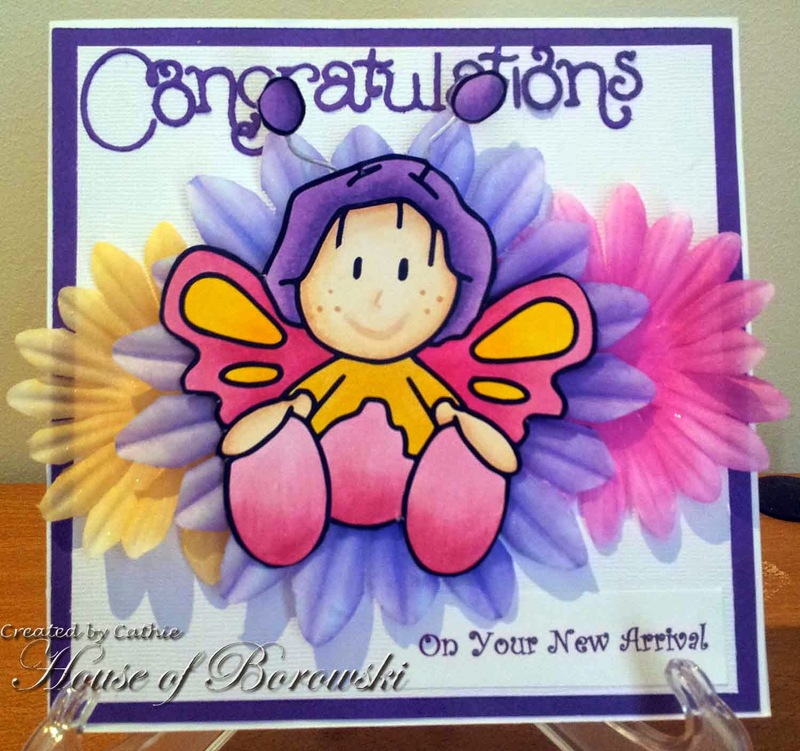 Bugaboo Digital Stamps is our Sponsor for the March Challenge of Spring and Children. I have a fantastic surprise. Two of our talented Divas used the same image and how wonderfully different and delightful they are. That's what I love about stamping and digital images alike. One's person's creativity is so different from another. I love both the cards. I know you will too. 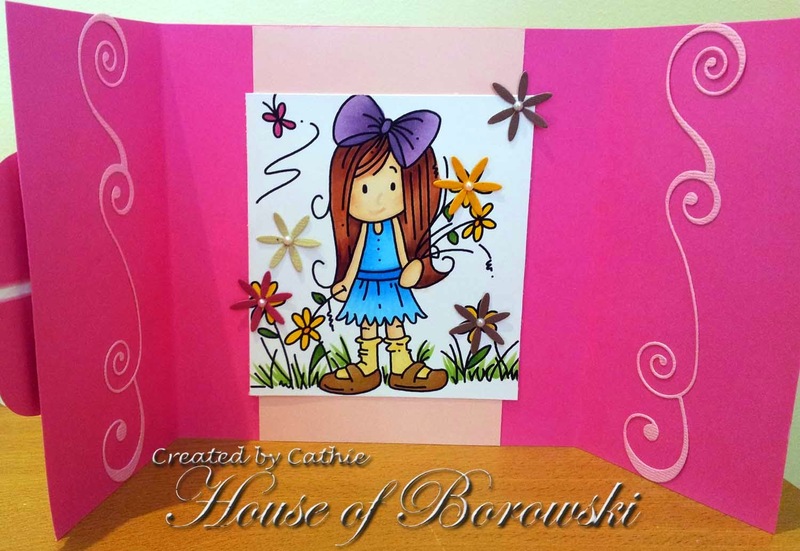 First up is Cathie Borowski: The color scheme reminds of a rich sherbet. That sounds so yummy to me. I sat and read outside on Sunday past and at 2:00 p.m., it was a lovely 64 degrees Fahrenheit. I would have loved some sherbet then. Our lovely little girl is thinking of sherbet too. Bugaboo Stamps Kid Pocket Topper Wavy Hair Girl, Clearly Besotted Stamps. Visit Cathie at the House of Borowski. Marsha has this little girl sitting at the window, watching the world go by and wishing she could go out and play. She really does look like she wants to go have fun. The flowers are just so cute too. Yes you can do no line colouring with a digi image. 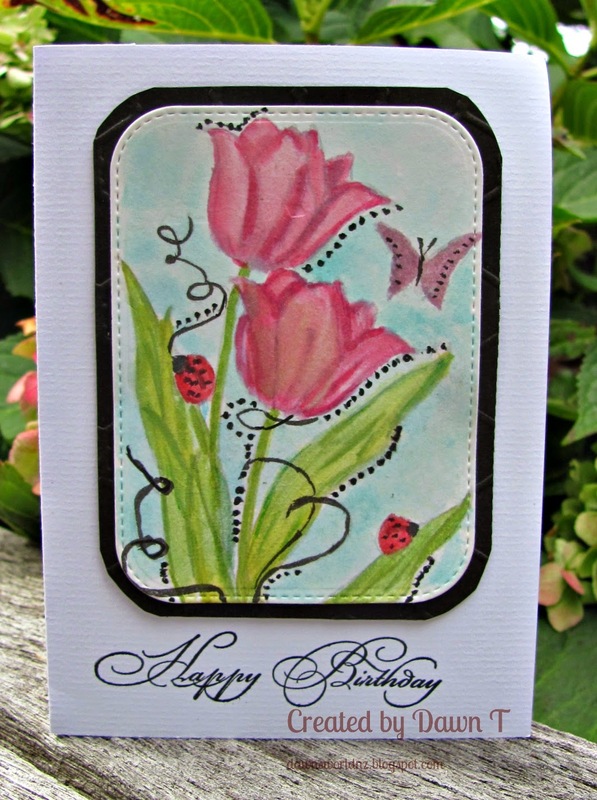 This technique is usually done by stamping in a very light colour then colouring with your medium. I wondered if you could do this with a digital image. I added the image into a Word document and recoloured to Washout. Once it was printed I coloured it... and YES you can do the no line colouring! I used Watercolour paper to print my image and coloured with Memento Inks. 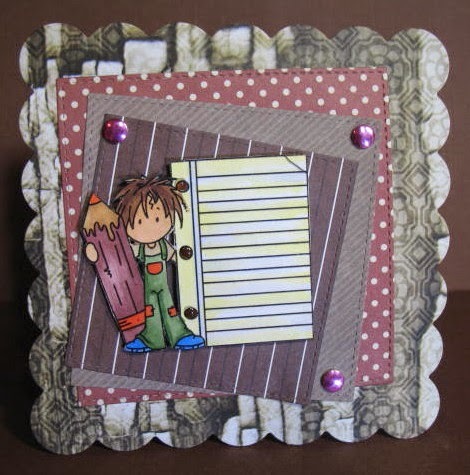 I was inspired by my friend Isha, who did a video in the StampNation class I've been doing. She made it looks sooo easy...but I found it a bit harder. I'm not too great at shading and blending... I used my new Die-Namic stitched dies to cut out the focal piece. So there you are people... digi images are so versatile. 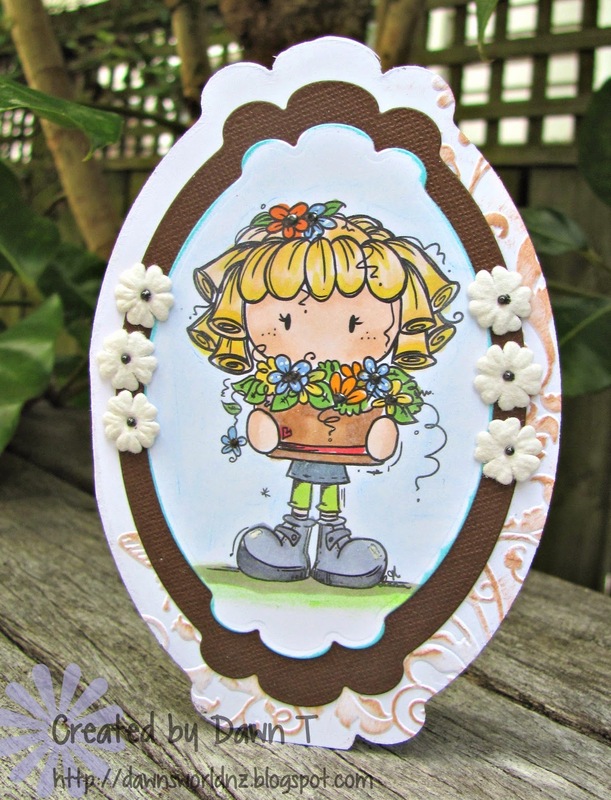 Our Sponsor for March is Bugaboo Digi Stamps! 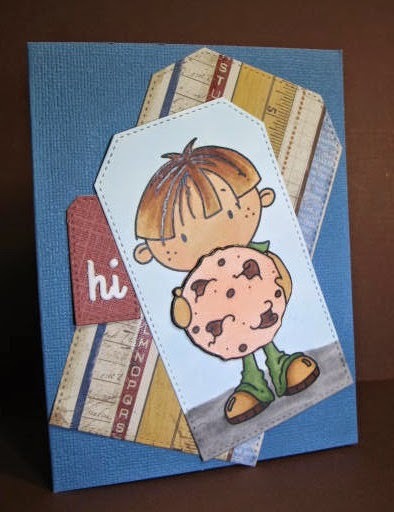 Isn't this such a sweet card?! Marsha has beautifully combined both of our challenge options Spring, and Children. 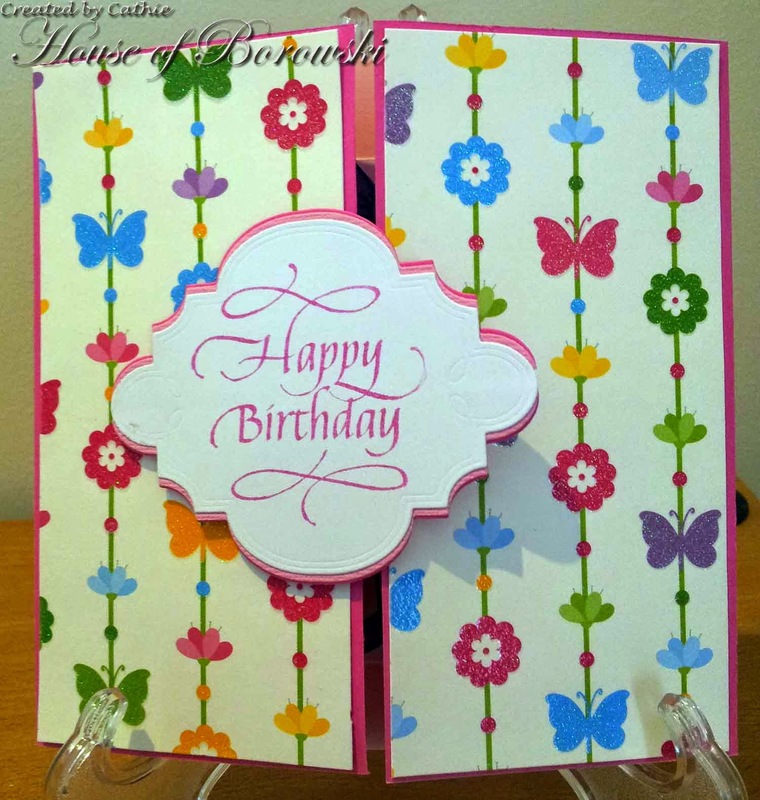 I love the royal purple tulip paper with the bright yellow butterflies, and the sweet little girl, it would be a fun card to receive whether you were a child or adult. 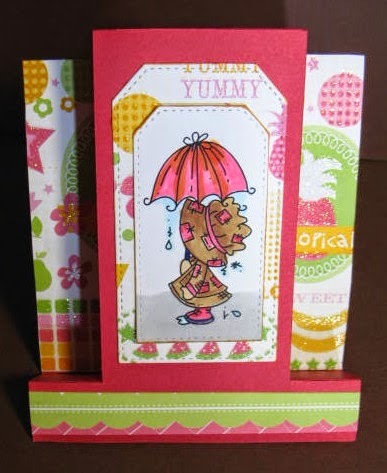 And she also has the knack for using different folds on her cards, something I am not very good at and rarely attempt. Something just drew me to the colors and patterns in this card. The colors are fantastic together. I loved the geometric designs, which worked so well. 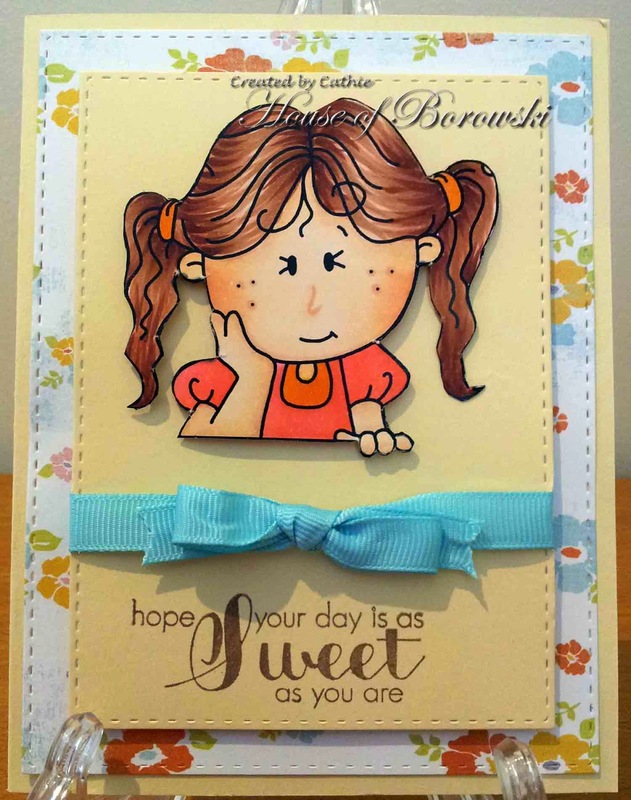 This card grabbed my attention with its colour scheme and how all the elements including that gorgeous bow; draw you to focus on the sentiment, fantastic job. What drew me was the stark (Beautifully colored) image on the white background, the lacey oval die over another white embossed background. The Contrast is Gorgeous! Arlene and the Die Cut Divas thank you all for participating. Remember, you have to use a die-cutting machine to either die-cut or emboss something you use on or in your card or project. You have to also follow the challenge this month. Here are some overly examples to get you started! Sizzix Twinkling Toes alphabet die.